Smoothies are one of my favorite breakfasts. They come together in a number of minutes and they taste so vibrant and refreshing. 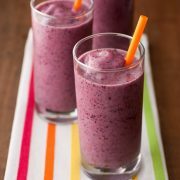 Starting your day doesn’t get much better than rolling out of bed and making a fruit smoothie. One great thing about smoothies is how versatile they are, there are countless combinations to them. 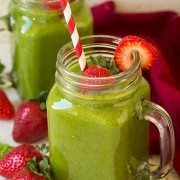 One of my favorite ways to make a breakfast smoothie is to add quick oats, which you can most definitely add to this recipe to make a more filling breakfast out of it. 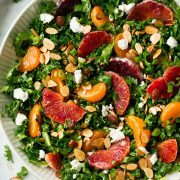 Other healthy additives you can add to this recipe include things like chia or flax seeds, protein powder, greens (spinach/kale), or nut butters. You can also replace the raspberries with any other berry you have on hand or you can replace the almond milk with soy, coconut or cow’s milk.Here’s just a basic recipe to get you started. Enjoy! Add all ingredients to a blender and blend until smooth. Yields 2 servings. The perfect pretty in pinks smoothie! 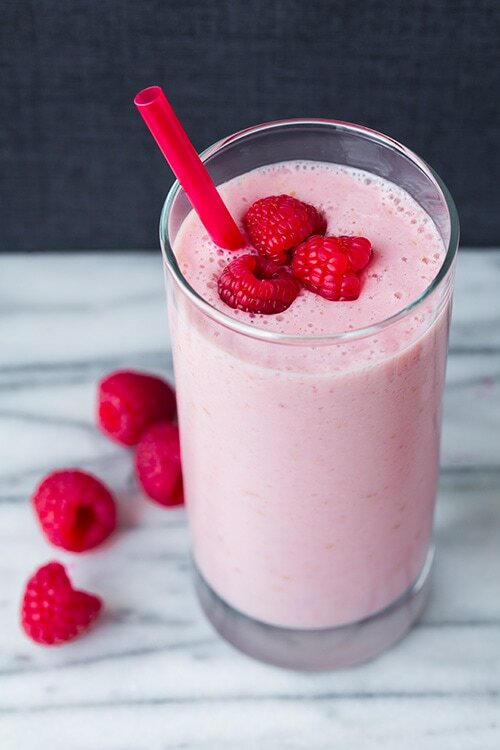 Made with a blend of bright vibrant raspberries, sweet bananas, almond milk and creamy Greek yogurt. 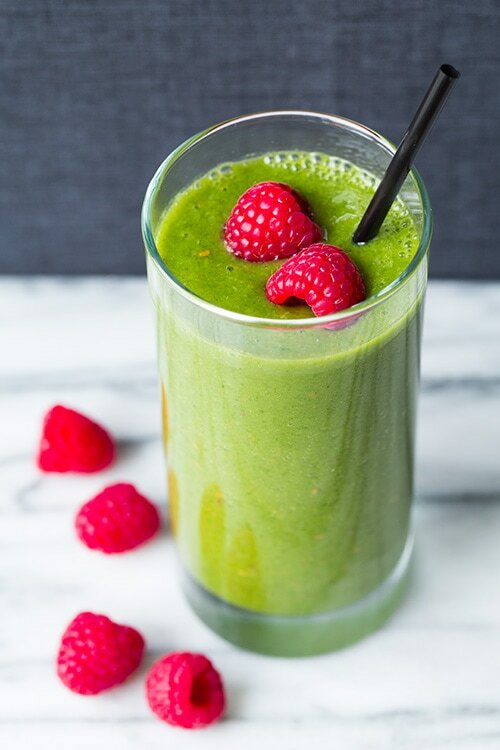 A smoothie you'll want to make again and again! Add all ingredients to a blender and puree until smooth. Serve immediately.